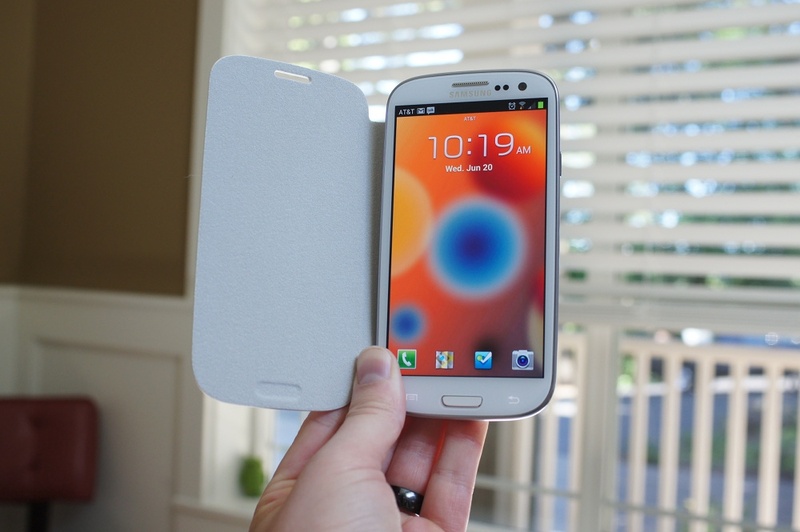 If you checked out our Galaxy S3 review from last night, then you probably saw the two pictures under the “Accessories” section of the device’s Flip Cover. There isn’t a ton to say about it, but we thought we’d whip up a quick video to show it off a bit. For those that haven’t seen it yet, think of the Flip Cover as a replacement battery cover with a soft, screen guard attached. It flips open and closed over the device, hence the name. It probably won’t offer you the ultimate amount of protection, but it will give your screen some relief when sliding the device in and out of pockets or bags. We are wondering how easy it is going to be to adjust the volume with this cover on though.